I cannot believe that it's been 6 years since I started blogging. November 2012 seems like just yesterday. Throughout my blogging career, I've learned a lot about social media, cameras, tools, etc. My mind is blown at the realization that Instagram wasn't even a thing when I got started. How crazy is that? This post outlines my favorite business equipment. You don't need to have everything on this list to get started, but it is important to invest in quality equipment to avoid re-purchasing due to poor quality or failure of success. The tools, resources and equipment that you use to start your business directly effect the quality of your products. Keep reading to check out my favorite business equipment for bloggers and small business owners. I know it's tough balancing your 9 to 5, family and side hustle without losing your mind. I get that you want to "do it all" and still be fly on the gram, but you lack the strategy and resources to build an impactful brand. I will help you gain clarity on your social media strategy and content plan to attract the right audience. Purchase a 45-minute branding call with me here. I've been an Apple girl since college and have never had a virus. MacBook’s are worth the investment. I will eventually purchase an iMac because I want a larger screen for editing and more storage. I love how simple it is to download apps to my MacBook. Airdrop: I use Airdrop to share videos and images between my iPhone and MacBook instantly. Stickies App: I use Stickies to organize my blog schedule and brainstorm content ideas. iMovie: I use iMovie to edit videos for my YouTube channel. It's simple to edit and export videos in the free version. iPhoto: I use iPhoto to house my images after shoots. The favorite function makes it easy to separate usable images from the pack. My iPhone is great for blogging because of the image quality, ease of use, syncing with my MacBook and large amount of storage (250 gbs). I think all iPhones are about the same, honestly. I don't plan to upgrade until this phone stops working. If you have an iPhone check out my post on the app that changed my life, UNUM. You will need a tripod to produce video content. I've had 2 tripods in the last 6 years because I lost the camera attachment piece to my first tripod. Meaning, tripods can last forever so don't be afraid to invest in a quality tripod. The Canon T5i is king. I love my flip screen, image and video quality. I purchased my camera refurbished on Canon.com for less than $600. However, I wouldn't do it again. My camera has small glitches that a brand-new camera wouldn't. I suggest saving longer than I did for a brand-new camera. Click here to purchase a new Canon Rebel T5i. You can also check out local pawn shops and camera stores for used cameras, lighting and lenses. I purchased the 50mm lens from Overland Park Photo Supply. The 50 mm lens is perfect for detail shots and retails for less than $150. You can purchase it here. I use my 50mm lens versus my kit lens for video recording, outfit photography and flatlay images. I stray away from using my kit lens because my 50 mm makes shots so crisp. Investing in professional photographers has always resulted in amazing results. I use photographers for all of my outfit images and majority of the content for my sponsored posts. However, I do shoot My Girl Story merchandise myself (Read about planning shoot here.). If you've got a good eye for angles and placement, then start shooting with a friend and swapping images then invest in a professional photographer. I am obsessed with my ringlight. You can purchase it here. I've had it for over a year and it makes selfies and videos a lot better. Ringlights provide high quality lighting without the bulkiness of studio lighting. 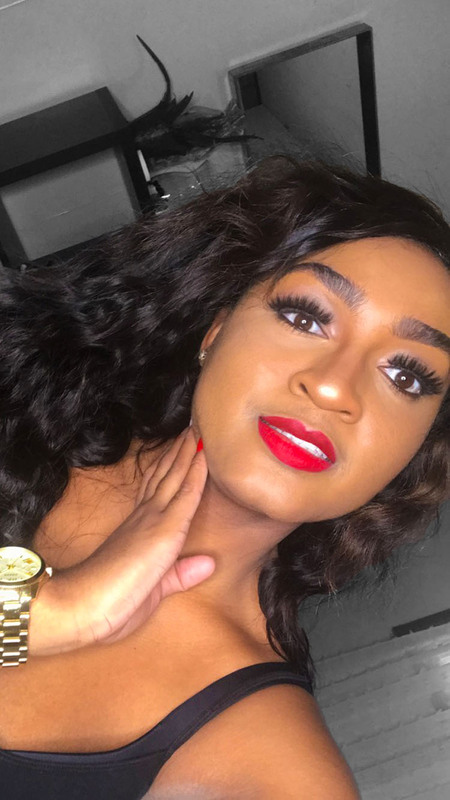 Ringlights are great for beauty bloggers and vloggers. Adobe suite makes editing images, creating graphics, etc. so much better. I use Adobe Photoshop to edit my images and to create graphics when Canva.com won't let me customize things to my liking. I took an Adobe Suite course in college and have kept up with use along with getting further training from my fianće to ensure the monthly investment is worth it. You can take an Adobe course at your local library, community college or online. I suggest taking a course in-person so you can ask questions to a present instructor. These ebooks have saved me tons of time when pitching brands. I purchased a bundle deal a couple of years ago with 2 pitching ebooks including. 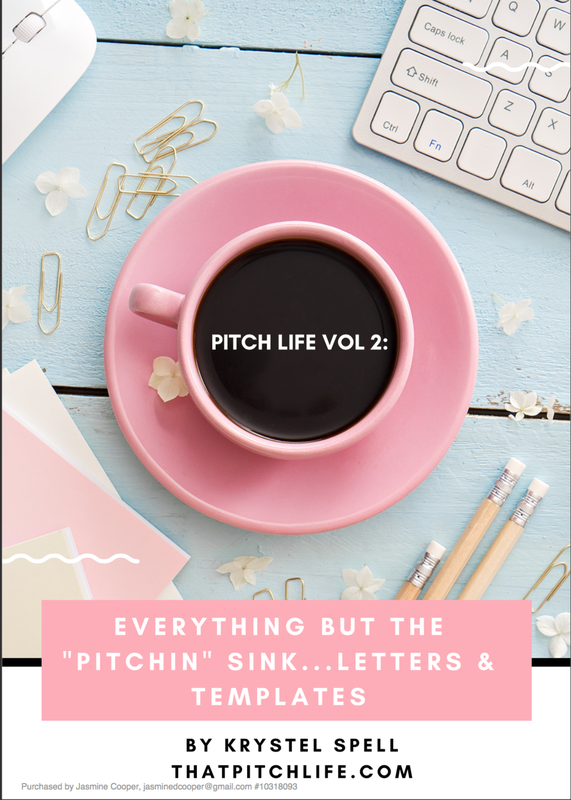 The first book is full of pitching vocabulary and etiquette. The second book is full of pitching scripts. This is hands down one of the most important pieces of equipment on this list. Invest! The The Profit Planner book and downloads bundle is another lifesaver. I love the scripts and organization that Emmelie includes in her products. Her teaching has helped me to sell out events and learn to remove my emotions from making money and to replace them with drive. I purchased this bundle when she offered group coaching along with it, but her offerings have now changed. Check out more from Emmelie on her website, EmmelieDeLaCruz.com. Squarespace is bae. I have used Blogger, Wix, Weebly and Wordpress but Squarespace is my absolute favorite. It's easy to use, easy to upgrade and has a simple toolbar. I recently upgraded to one of the premium subscriptions to learn more about my customers via backend analytics and tracking. If you're new to blogging, then I suggest trying out Squarespace. Click here to sign-up using my link. I hope that this list of my favorite blogging equipment was helpful to you on your blogging journey. If you have any questions, please leave them below. I would love to assist you on your blogging journey. Thanks for stopping by. Don't forget to sign-up for my email list to receive a list of 15 branding resources and apps to take your brand to the next level. Ps. Are you following me on Instagram? Check out my profile @thejasminediane. Peace.